Free for Youth 25 and under (includes admission to all activities, pass code to music download, book of tunes discounted to $25). 2. 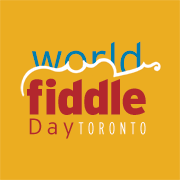 Members Jam Books: A bound book of the music played on World Fiddle Day Toronto 2017 with a CD of all the tunes plus an pass code to online jam music. 4. Play in Around-the-World Fiddle jam – with our fabulous house band. 5. The opportunity to attend our Annual General Meeting in October 2017. You can contribute ideas for our next event in 2018. Open to members and non members: 10 community workshops and practice jams at Long&McQuade, by pay-what-you-can donation. Dates and tunes played that day posted on the Around-the-World Fiddle Jam page.